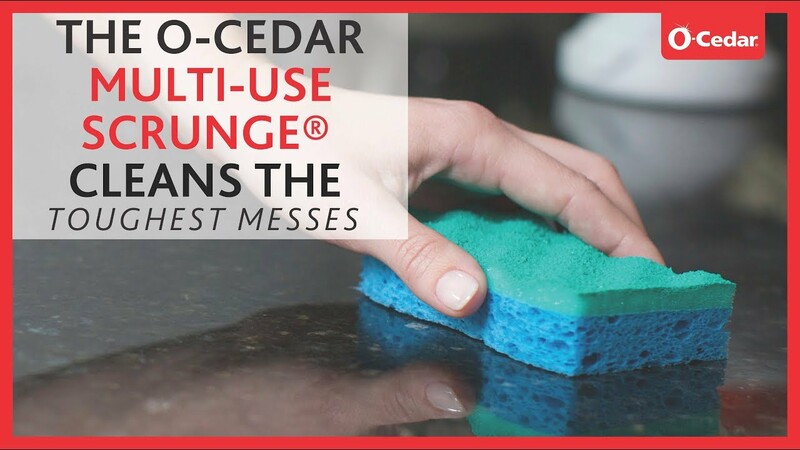 The powerful, yet gentle Scrunge® cleaning sponge uses the only patented durable non-scratch scrubbing surface recommended by Teflon™ quality tested nonstick coatings. The Scrunge®‘s rippled scrubber surface breaks up and lifts away dirt then rinses clean to prevent smelly odors. The Scrunge® cleaning sponge uses the only patented durable non-scratch scrubbing surface recommended by Teflon™ quality tested nonstick coatings. The extra thick and thirsty sponge quickly wipes surfaces clean. Rinse thoroughly and squeeze sponge dry after each use. To further clean sponge, place in the dishwasher. This product is designed to be safe on most household surfaces. For delicate surfaces, test first on an inconspicuous area and allow to dry before general use. For best results, replace every 30-60 days.